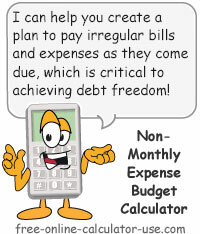 This free online calculator will help you to reconcile a bank statement (balance check book) by doing the math for you. 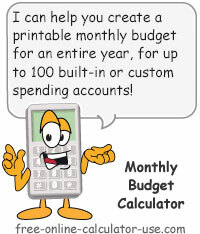 Or, if you prefer to reconcile a bank statement manually, the calculator on this page also includes an option for printing out a blank, free bank reconciliation form. How to balance check book. 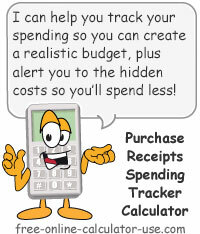 Reconcile your bank statement with your checkbook register. Enter the checking account balance after recording all items from the bank statement that were not previously recorded. Enter the amount without the dollar sign or any commas. Enter the ending balance as listed on your bank statement, but without the dollar sign or any commas. For each deposit that appears in your checkbook but is not listed on your bank statement, enter a reference (numbers only) and an amount (no dollar sign or commas), then click the Add Deposit button (may also appear as "+" or "Add" depending on the width of your device). This will add the deposit to the drop-down deposit list. Note that you can edit or remove entered deposits by selecting them from the list. For each deposit that appears in your checkbook but is not listed on your bank statement, click the "Add Deposit Row" button. Then enter a reference (numbers only) and an amount (no dollar sign or commas). This is the calculated total of all deposits not listed on your bank statement. The checking account reconciliation calculator will add this amount to the balance from your bank statement. For each withdrawal that appears in your checkbook but is not listed on your bank statement, enter a reference (numbers only) and an amount (no dollar sign or commas), then click the Add Check button (may also appear as "+" or "Add" depending on the width of your device. This will add the withdrawal to the drop down check list. Note that you can edit or remove entered checks by selecting them from the check drop-down list. For each withdrawal that appears in your checkbook but is not listed on your bank statement, click the "Add Deposit Row" button. Then enter a reference (numbers only) and an amount (no dollar sign or commas). This is the calculated total of all withdrawals not listed on your bank statement. The checking account reconciliation calculator will subtract this amount from the balance listed on your bank statement. This is your adjusted bank statement balance, which is the balance listed on your statement, plus the total of the outstanding deposits, less the total of the outstanding withdrawals. This your checkbook balance minus the adjusted statement balance. If this amount is zero, your checkbook reconciles with your bank statement. If this amount is negative, it means your checkbook balance is less than what the bank shows. If the amount is positive, it means your checkbook balance is greater than what the bank shows. In either of the latter two cases, the next step would be to double check the adding and subtracting in your checkbook register -- back to the last date you created a bank reconciliation statement. To create a printer friendly page of your checking account reconciliation, select Completed from the drop-down menu and click the Printable Bank Reconciliation Statement button. To create a printable, free bank reconciliation form, select Blank from the drop-down menu and click the Printable Bank Reconciliation Statement button. 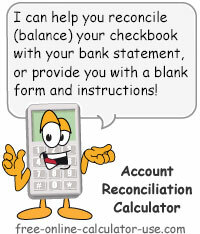 To clear the checking account reconciliation calculator of all entries and results, click the Reset button. Enter the ending balance from your checkbook register. Enter the ending balance from your bank statement. Enter any and all deposits that appear in your check register but not on your bank statement. Enter any and all withdrawals that appear in your check register but not on your bank statement. Tap or click the "Reconcile Bank Account" button. This will display the adjusted statement balance and the amount your checkbook is out of balance with the bank statement. If you would like to print out the completed bank reconciliation statement, select "Completed" from the Report type line and tap or click the "Reconcile Bank Account" button. This will open the report in a new window for printing. What reconciliation is, why it's important, and how to reconcile your accounts. The term reconciliation basically refers to the process of making two things consistent or compatible. In the case of balancing a check book, this process is used to make the balance in your checkbook register consistent with what the bank considers to be your balance -- something that can't be done simply by comparing one with the other. Why is Checkbook Reconciliation Necessary? Checkbook reconciliation is necessary for three reasons. Because there is usually a delay between when the bank closes it's month out and when you get your copy of the closing statement. Any transactions that occur during this delay will be recorded in your checkbook register, but will not appear on your statement. Because checks (or debits to your account) are not received by the bank on the same day you write them. Any checks written in the past but not cashed will be recorded into your checkbook register, but will not appear on your bank statement. Because some adjustments to your account occur behind the scenes (electronic fund transfers, or EFTs). Since the bank doesn't call to remind you that these ETFs have occurred, it's easy to forget to record them into your checkbook register. If you are not faithfully reconciling your check book with your bank statement, then you run the risk of being assessed stiff overdraft charges. And if not caught in time, these overdraft charges can pile up in a hurry. The only way to avoid overdraft charges is to faithfully perform a checkbook reconciliation as soon as you receive your bank statement. Personally, since I do all of my personal financial bookkeeping bright and early on Sunday mornings, this means that I always perform a checkbook reconciliation on the first Sunday following the receipt of each bank statement. For each line on your bank statement, check to see if the listed item is recorded in your checkbook register. If an item is found, place a check mark next to the item on the bank statement, and also place a check mark next to the item in your checkbook register. Be sure the amount listed on the statement is identical to the amount recorded in your check book. For each unchecked item on your bank statement, record the missing item into your checkbook register and recalculate the balance. On a bank reconciliation form, list all deposits from your checkbook register that do not have a check mark next to them, and then find the total. These are deposits that you have made but that the bank received after it created the statement. These are sometimes referred to as deposits outstanding, or deposits in transit. On the bank reconciliation form, list all withdrawals (checks) from your checkbook register that do not have a check mark next to them, and then find the total. These are withdrawals that you have made but that the bank received after it created the statement. These are sometimes referred to as withdrawals outstanding, or withdrawals in transit. Add the total deposits outstanding (#3) to the ending balance on your bank statement, and then subtract the withdrawals outstanding (#4). The result is your adjusted statement balance. Compare your adjusted check book balance (#2) to the adjusted statement balance (#5). If the two match, your checkbook reconciliation was successful (check book balance is equal to the bank's recorded balance). If the two do not match, then your check book balance is said to be "out of balance." This is usually caused by addition or subtraction errors in your checkbook register, so your mission at this point would be to find and fix the errors until the two adjusted balances reconcile (match each other).